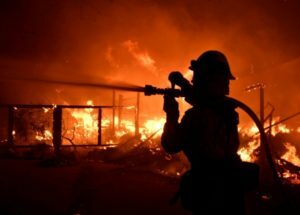 The San Fernando Valley Bar Association is working with Neighborhood Legal Services of LA County (NLSLA), the American Bar Association (ABA) Young Lawyer Division (YLD), and elected officials, along with multiple legal service providers, to create a coordinated disaster legal services response to the devastating Woolsey Fire. In the aftermath of the wildfire, survivors face a wide variety of legal problems and barriers to recovery. This holiday season, the SFVBA is inviting its members to participate in disaster legal services and pro bono efforts, including brief phone assistance, staffing Disaster Assistance Centers (DAC), in person assistance at know-your-rights workshops, community forums and legal aid clinics.